We welcome HKA as a Sponsor of Planning Planet. HKA is one of the world’s leading providers of consulting, expert and advisory services for the construction and engineering industry, with over 900 professionals operating from 39 offices in 19 countries worldwide. We held an informative networking session with a number of interested practitioners in the city of Lahore, Pakistan in the month. We hope this is the start of a regular facility. WANT TO CONNECT WITH GLOBAL ORACLE PRIMAVERA MANAGEMENT AND PLANNING SPECIALISTS? We are global Oracle Primavera project management and planning specialists, trusted by the Defence industry for nearly 20 years. A practitioner found he was repeatedly getting loops in an imported schedule that he was updating in P6. Here is a tip in relation to preventing loops re-appearing in contractors schedules that you import but have previously fixed and removed. HAVE YOU TRIED SCHEDULE CLEANER? Vivien Goldstrong, the author of projectschedulepro.com, talks about the importance of securely sharing sensitive and confidential project data when working with XER files, exported from the Oracle® Primavera® software. Read more about the different methods and solutions available to successfully deal with this challenge. Read the full article. In complex project schedules, multiple critical paths can exist between the project’s start and finish milestones. Additionally, integrated projects with multiple phased scopes of delivery often have several distinct, contractually-mandated deliverables and corresponding delivery dates. WHAT ARE THE BASIC PROJECT PLANNING STEPS? TAKE A LOOK AT SOMETHING DIFFERENT? The session will be lead by Melanie Franklin, expert-level change practitioner and co-chair of the Change Management Institute. ScheduleReaderTM allows dynamic presentation of well formatted and visually understandable schedule information from files in the XER, XML and XLS format exported from the Oracle® Primavera® software, that you can easily organize and share with project stakeholders. COST AND SCHEDULE RISK MANAGEMENT? Are you a project controls professional passionate about cost and schedule risk management? Are you interested in increasing your organisations' level of risk maturity? This spring Safran will be doing some breakfast presentations, and we would love you to be a part of it. Ghost Schedules are employed behind the scenes on construction projects for various reasons and purposes. Contractors use them to record their original plan when owners refuse to approve early completion schedules or fail to promptly grant time extensions, as well as to manage the activities of subcontractors and suppliers to earlier finish dates than the official project schedule. PULL PLANNING IN CONSTRUCTION – THE ULTIMATE GUIDE? Pull planning is becoming more popular in construction management. In short, it’s a method to work with construction projects in reverse order. And with the much higher involvement of your team. Imagine rows of dominoes set up in strategic lines. Each domino standing by itself but part of a bigger picture at the same time. The domino at the end of the creation can’t fall until each one before it falls. This is exactly what happens with pull planning. Construction CPM Conference next event is January 19-22 2020 at Disney World Florida. Three Full Days Where Professional Planner Schedulers Gather to Discuss and Improve Critical Path Method Analysis Knowledge. Here are some HOT Planning Planet Forum posts. Why not join the conversation? Watch the ARES 30-minute webinar to learn about contract management and the PRISM Contracts & Invoice Management modules. This webinar covers the step-by-step process of awarding contracts, creating invoices for contracts, approving invoices, and invoice payments. Hi. I'm you're Project Controls Manager. We are now offering CONFIDENTIAL Project Controls Competency Measurements for our members! From this report, you will receive a summary, similar to the one presented above, showing your teams, company’s or projects "Competency Performance Index" across the full Project Controls capability arena. If you are interested in transforming Project Controls capability and team measurement, and would like to find out more, click here. Offering clients new talent within Planning & Scheduling, Cost Estimating / Cost Management, Dispute Resolution, Risk and Project Controls worldwide. We offer job description writing & support our candidate to facilitate your career needs. PCGlobal offers advice, career development along with personal professional assistance in guiding you towards tools that can make you a more competent & knowledgeable practitioner. Clients: Contact us for a candidate that we assess inhouse. Our assessments & vetting, we live and die by this. Our standard of practitioner & their competency to fulfil a position with you will not be a worry anymore. Speak to one of our experts personally david.logie@projectcontrols.com we are here to help with a personal touch. 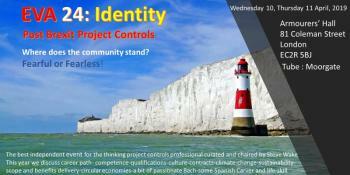 Have you taken a look at the Guild of Project Controls' Role Descriptors yet? - This is the perfect tool for those who want to find out the baseline knowledge required for their role and level of seniority - think of it as a job descriptor for all roles and levels of competence. Give it a try here, find out more here. A duration of time, the manhours involved, and an amount of work produced this section of Planning Planet is here to document this. A superior alternative to the "most popular" software for us as planners?Spider Project offers numerous unique functional features and is the only PM software that optimizes resource, cost, and material constrained schedules and budgets for projects and portfolios. If you wish to come to a project control gathering local to you please get in touch and we will share the details with you. We are holding meetings near you so do get in touch. If you would like your product, service or software or yourself to be put in front of the global (or local) Project Controls Community then you should consider subscribing to the Planning Planet Project Controls Market Place. We want to give more of our members the opportunity to advertise on our site. There are many reasons why this would be beneficial to anyone wanting to advertise their goods or services. We are offering two levels of interaction with our community, PP SILVER ADVERTISER and PP GOLD ADVERTISER.